This collection was created exclusively for MADE.COM. Bespoke artworks, there are just 4 styles in this limited edition collection. The bold lines used in this design were inspired by the natural forms of mineral rocks. Gold leaf detail was hand applied to represent the glistening effect created when sunlight hits the rocks. 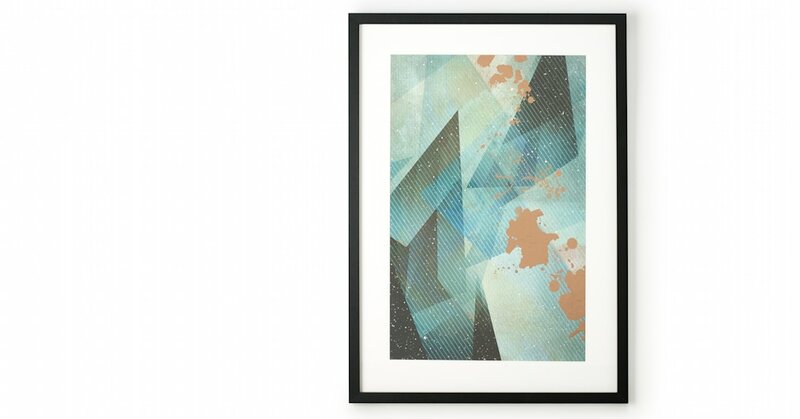 Made using digital techniques in a specialist print works in Europe.The natural wood frame is float mounted to create a contemporary look.